Yes you can! 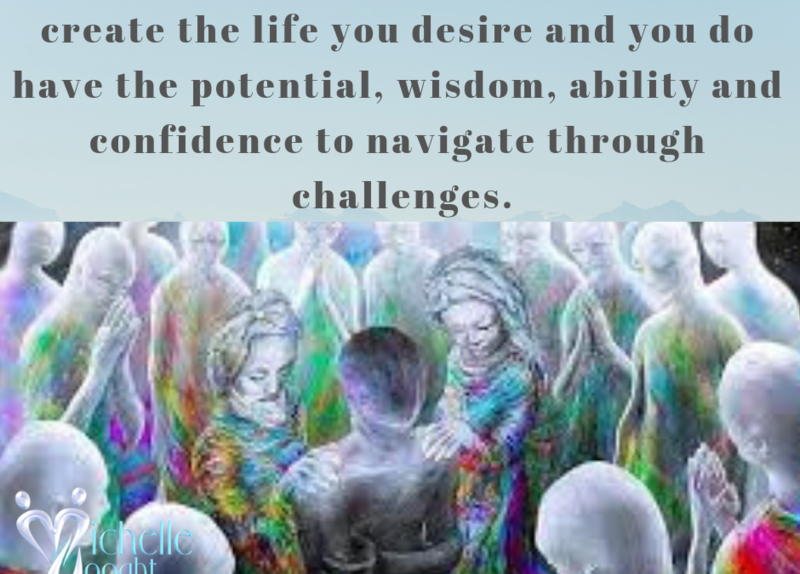 You can do all that you want, you can create the life you desire and you do have the potential, wisdom, ability and confidence to navigate through challenges. Listen to yesterday’s Sunday Morning with the Angels broadcast – we had profound and powerful guidance from Archangel Michael. Make a cup of coffee, take a few minutes out of your day, focus within and listen. We are so used to quickly glanzing over things, or rushing from one point to the other. The faster we can complete a task, the more accomplished we feel. The quicker the result, the better. And we also do this with our emotions and challnges. If we feel sad, anger or hurt, we want to quickly get over it, we want to instantly not feel this way. Yet, if you take it a bit slower, if you stay within the moment of each emotion, each situation and calmy accept its existance, then you will not feel any resistance towards it. You will not toss and turn and wonder why this low vibration emotion is happening and/or whay is it not going away. The truth is, being present, with acceptance and patience, allows us to see things from a different perspective. To take a moment, make a cup of coffee or tea, breathe and then listen to what your Higher Self is guiding you to. Once you have done this you receive amazing insights. In turn this allows you the opportunity to re-align, to turn it around and resume focus – to a beautiful outcome, to how things are actually working out for you, to changing your feelings and thoughts about the situation in order for you to create your world differently.